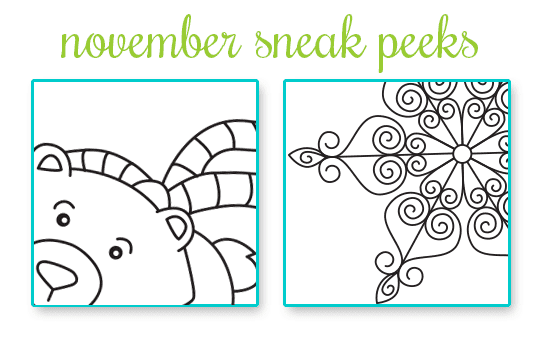 Newton's Nook Designs: November Release - SNEAK PEEKS! Full reveals will be Monday and Tuesday (one full reveal each day) and will be filled with fabulous fun from our FABULOUS Design Team and November Guest, Donna Mikasa! Both sets will be for sale in the online shop on Wednesday, November 12th! Make sure you pop through all the blogs on Monday and Tuesday and leave comments both days for a chance to win! It's going to be such a fun week! Here's a hint - get ready for some snowy days! So what winter wonders is Winston up to? Can't wait to see! New stamps! So exciting! You know I'll be back to check them out! OMGosh these look wonderful. Thanks for sharing. OOOOOO! Looks like fun ahead!